A thief broke into a traffic attendant’s kiosk and stole books of tickets before sticking them in random locations in Northampton town centre. Rachel Priest broke into the portable building in the car park at Iceland, St Peter’s Way, on February 23. She took books and tickets and left the area but was spotted by CCTV operatives behaving drunkenly at the Newlands car park off Lady’s Lane. 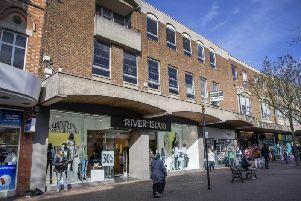 The group were then observed posting the tickets to buildings and other street furniture before police arrived to move them on. Northampton Magistrates’ Court was told that Priest, who pleaded guilty to theft, is an alcoholic who needs extensive surgery on her stomach as a result of her heavy drinking. She was handed a conditional discharge.